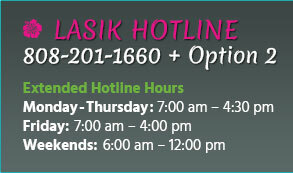 At Aloha Laser Vision, we are committed to staying up-to-date with the latest advancements in ophthalmology. By doing so, our team is proud to offer a variety of vision correction options from which to choose, including the innovative Visian ICL™ and Visian Toric ICL™ procedures. Dr. Alan Faulkner is the first physician in the area certified to perform the Visian ICL™ and Visian Toric ICL™ procedures, earning Aloha Laser Vision a reputation throughout Hawaii as a center for excellence. What is the Visian Toric ICL™? The Visian ICL™ (Implantable Collamer® Lens) is a phakic intraocular lens that is placed between the eye’s iris and natural lens to correct the blurred and short-range vision associated with myopia, or nearsightedness. The Visian ICL™ does not replace the eye’s natural lens but rather serves as a supplement. One of the advantages of the Visian ICL™ is that it is removable, and unlike LASIK eye surgery, the Visian ICL™ does not permanently alter the eye’s structure. 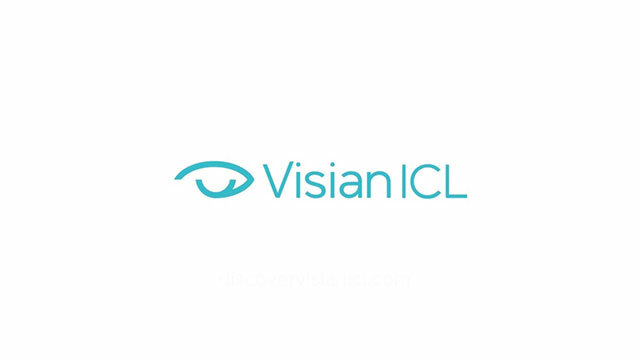 What is the Visian Toric ICL™ (TICL)? In September of 2018, the FDA approved the Visian Toric ICL™ (also called the TICL™), which is an Implantable Collamer® Lens designed to correct for myopic astigmatism. The introduction of this new lens to American patients greatly broadens the spectrum of candidates who can benefit from vision correction with an ICL. Now patients with myopic astigmatism, who are not suitable for LASIK or another refractive procedure, may choose to consider the TICL™ as an effective way to reduce their dependence on corrective contact lenses and glasses. In addition to the fact that the Visian ICL™ is not permanent, many of our Honolulu patients appreciate the procedure’s simplicity. The Visian lens requires no maintenance and is entirely undetectable to both the patient and the casual observer. The Visian ICL™ is also more versatile than other methods of vision correction, with the capacity to correct a wider range of myopia prescriptions than LASIK or PRK. With the introduction of the Visian Toric ICL™, we can even correct for myopic astigmatism. The Visian ICL™ is also an attractive option for patients who are concerned about safety. Made of Collamer®, a biocompatible substance found naturally in the body’s connective tissue, the Visian ICL™ is not recognized as a foreign substance by the body, thus reducing the risk of an adverse reaction. Furthermore, the Visian ICL™ has undergone rigorous testing by the FDA and other clinical research groups, and has so far been placed successfully in over 55,000 eyes around the world. How long does the Visian ICL™ last? What is the Visian ICL™ made of? 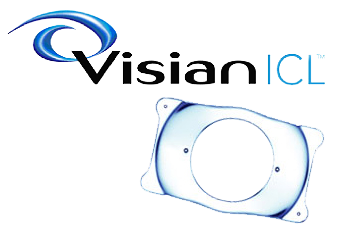 Does the Visian ICL™ require any maintenance? Can the Visian ICL™ be removed? Does the Visian ICL™ replace my natural lens? What should I expect during the procedure to place the Visian ICL™? How long after placement of the Visian ICL™ will I notice improvement in my vision? Will I still need glasses or contacts with the Visian ICL™? Will I be able to feel or see the Visian ICL™ in my eye? Is the Visian ICL™ right for me? The ICL in Visian ICL™ stands for implantable collamer lens. However, as a more general term, ICL can also stand for implantable contact lens. 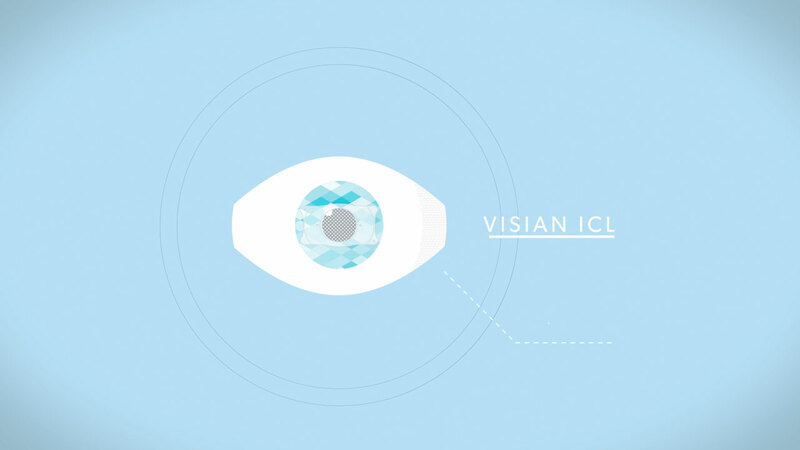 The Visian ICL™ is meant to provide lasting vision correction. It is designed to remain inside of the eye long-term, unless circumstances arise in which the lens must be removed or replaced. The Visian ICL™ is made of collamer, a soft, flexible, biocompatible material. The name “collamer” is a combination of the words “collagen”, a substance found naturally in the body, and “polymer”. The material’s proprietary composition of purified collagen allows it to feel natural and function reliably within the eye. There is no additional maintenance required with the Visian ICL™ beyond annual checkups with Dr. Faulkner to monitor eye health. If necessary, the Visian ICL™ can easily be removed from the eye by Dr. Faulkner. Even after removal, certain aspects of the procedure, such as the iridotomy, are not reversible. The lens can also be replaced with another type of lens implant during the same procedure, if desired. The Visian ICL™ does not replace the eye’s natural lens; rather, it supplements the natural lens to correct vision. What should I expect during the Visian ICL™ procedure? The procedure to place the Visian ICL™ is typically quick and often virtually painless. The majority of patients report being very comfortable throughout the placement process, which usually lasts about fifteen minutes. Generally, one eye is treated at a time. To begin, a light sedative may be administered to relax you and anesthetic drops are applied to numb the eye. The Visian ICL™ is placed through a very small opening and positioned behind the iris, in front of the eye’s natural lens. The unique design of the Visian ICL™ helps it remain in place without further care. Once placement is complete, no stitches are usually needed to close the opening. Patients typically notice an improvement in vision immediately after placement. Many patients who receive the Visian ICL™ are able to achieve clear, 20/20 vision or at least significant improvement which allows them to rely upon their glasses or contacts less frequently to see at a distance. Since the Visian ICL™ does not correct astigmatism, patients may need laser vision correction to optimize their uncorrected vision. For patients with presbyopia (age-related farsightedness) reading glasses will still be necessary for close vision. If vision changes over time, contact lenses and glasses can be used to provide additional correction. It is also possible to replace the Visian ICL™ if vision changes significantly. Once in place, the Visian ICL™ is virtually undetectable by sight and feel. Only a trained professional will be able notice the presence of your lens. If you believe you may be a good candidate for the Visian ICL™, we invite you to schedule a consultation with Dr. Faulkner. During your appointment, he will perform a comprehensive eye exam and vision analysis, and discuss the best options available for improving your vision. At Aloha Laser Vision, we believe that residents of Hawaii should be able to enjoy the full spectrum of the island’s beauty and unique lifestyle. By investing in the Visian ICL™, Visian Toric ICL™, or other vision correction procedures, you are investing in your freedom to pursue all that Hawaii has to offer. Snorkeling, scuba diving, surfing, nature hikes, and more can now be enjoyed without the hassle of glasses, and the stunning landscape that surrounds you will appear brighter and sharper than ever. To learn more about the Visian ICL™ and Toric ICL™, contact our office today.